How does Videocult's survival platformer fare on the Nintendo Switch? Here is our review. Rain World was developed by Videocult and published by Adult Swim Games. This 16-bit inspired survival platformer centers around a slugcat, desperate to reunite with their family. To do so, you’ll have to navigate through treacherous wastelands and ancient civilizations, relying on your instincts and survival tactics to overcome the danger lurking at every corner. Scrap together weapons and rummage around for food if you have any hopes of surviving in this unforgiving world and finding your loved ones. Rain World initially released on PlayStation 4 and PC in 2017, now making its way to Nintendo’s hot console/handheld hybrid. 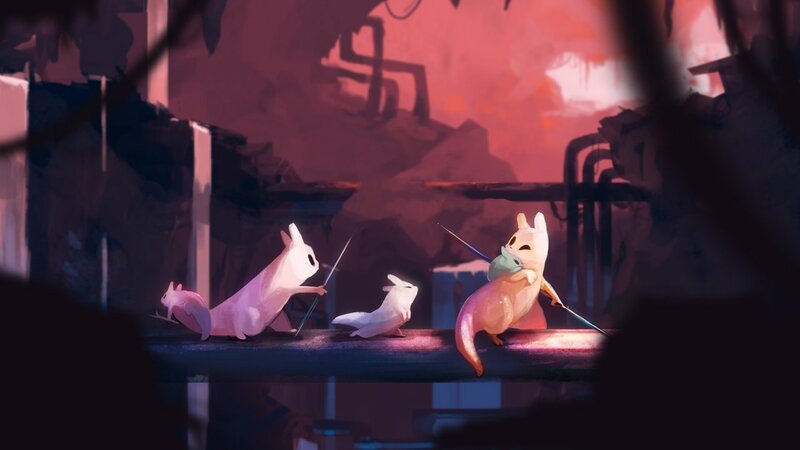 Rain World’s single player mode begins with the Slugcat (a small cute creature with a cat-like body and the tail of a slug that exists in the middle of the foodchain in this ecosystem) being separated from its family during an intense storm, setting the stage for a tough journey home. Players select from three different difficulties: The Monk, The Survivor, and The Hunter. The monk serves as an easy difficulty, promising a peaceful experience. The Hunter looks to truly push players to their limits, offering a chaotic and difficult adventure. 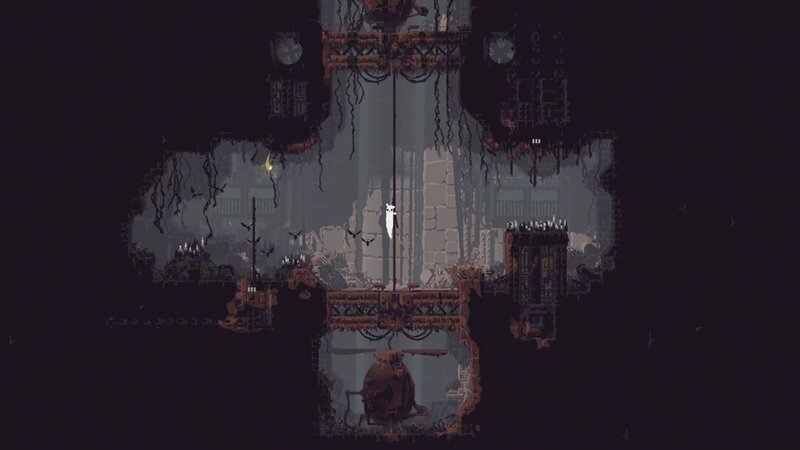 It should also be noted that The Hunter playstyle is initially locked and can’t be selected until completing Rain World once on an easier difficulty. The Survivor works as a nice balance between the two, and is what I opted to go with. I found that The Survivor was the perfect way for me to experience Rain World. There were frustratingly difficult moments and puzzles, but it always felt like I was getting better at them, and my deaths usually felt fair. Survival games need to push players, and Rain World does a superb job at doing so. Dialing in on that aspect, the concept of survival is one that Rain World gets so well. The slugcat is described as “both predator and prey in a broken ecosystem.” This perfectly sums up the way it feels making your way through this world. There were times when I felt like the most dominant creature on screen, plucking bats and bugs out of the sky and chowing down on them for health, or taking out smaller foes using rocks and spears with ease. This feeling was swiftly snatched away when I first encountered a green lizard. A menacing creature resembling a crocodile that was quite aggressive. Seeing my poor Slugcat being dragged away and devoured like a light snack was a pretty sobering visual. One that made me feel like quite the badass when I came back and conquered the beast. Little did I know, the lizard enemies would pale in comparison to some of the monsters I’d face down the line. The creature design in Rain World helped to make every new enemy feel fresh and unique from the last. Each class of foes had their own specific strengths and weaknesses, and I had to adapt to them in order to survive. The lizards were more ground based predators, meaning I had to do a lot of jumping and sticking to the high ground to maintain the upper hand. However, fighting spiders required me to be fast and quick to react to their every move, with them being insanely nimble. The looks of the monsters themselves is also quite impressive, all of them having distinct designs that make them easy to identify but are also creepy and unsettling to look at, furthering the idea of a wretched cruel world. 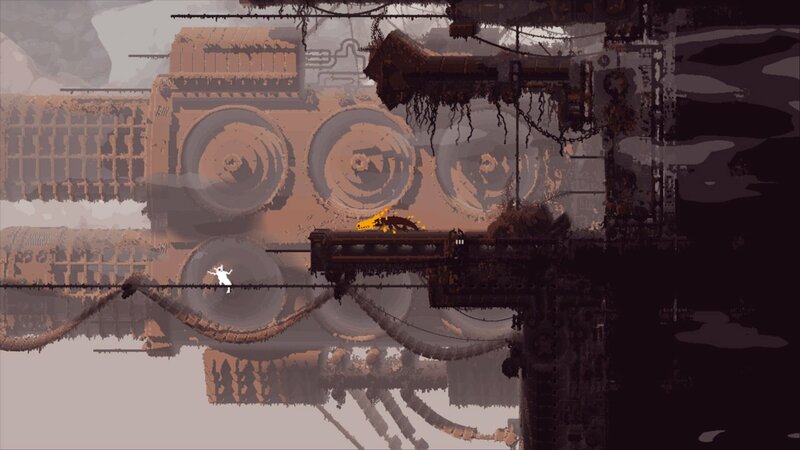 Another great aspect of the single-player mode in Rain World is how spaced out and paced the gameplay is. There are plenty of quiet moments, with riveting combat sequences sprinkled in. The world feels real and lived in. Many adventure games feel like the world revolves around you. 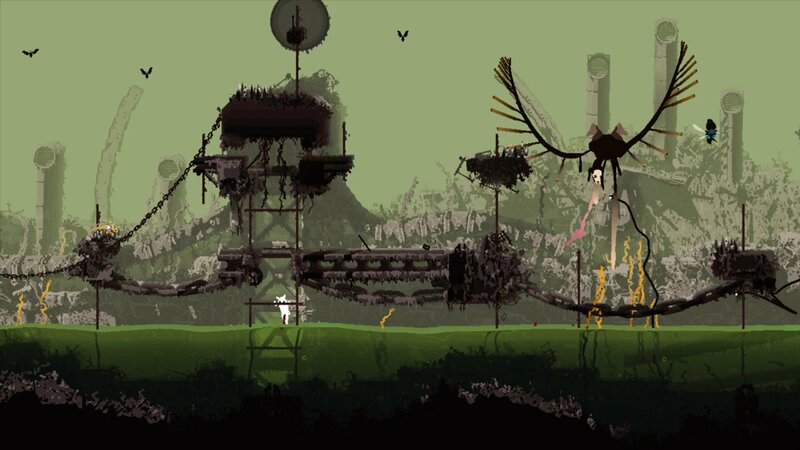 In Rain World, you feel like another being just trying to find your way in the world. My scary run-ins with enemies felt like something I naturally stumbled upon, rather than a boss I was intended to meet at a specific time. Music plays a large part in creating the atmosphere of Rain World. The peaceful tunes are nice and calming in the quiet moments where I find myself just exploring the area around me. It also works to combat the constant feeling of loneliness and emptiness that Rain World instils in you. In times of trouble, the music seamlessly switches to a more ominous song, driving home the sense of fear and imminent danger. 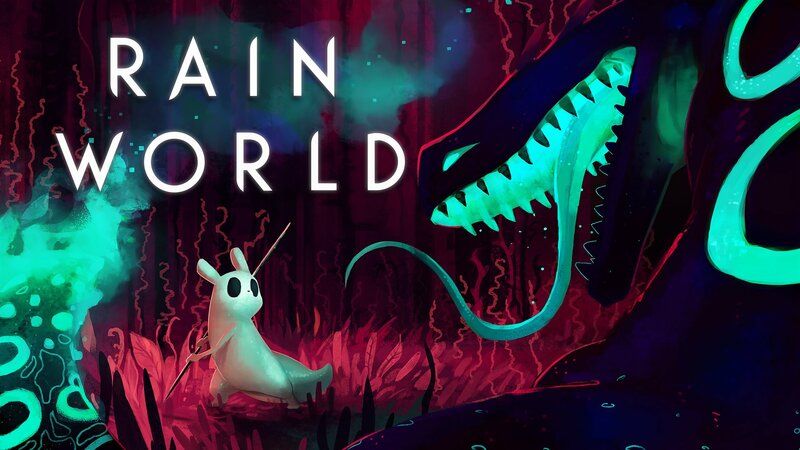 Rain World continues the trend of indie games from the last couple of years getting ported to the Nintendo Switch, and proves to be a worthy iteration. It ran beautifully, with no bugs or awkward errors popping up during my playtime. Rain World also makes great use of the Switch’s HD rumble feature. Before and during a heavy rain, the joycons would rumble to a stronger degree than any other game I’ve played on the platform. This was pretty cool at first, but began to feel like a little too much after a while. Rain world features an arena mode. This alternative to single player doesn’t follow a story and is a way for players to team up or duke it out. In competitive mode, players can battle each other, along with other creatures in a series of stages and contests to see who can collect the most points. Points are earned through dealing damage to players and monsters, eating food, and surviving. I found competitive mode to be so-so. It was neat running around and playing with another real person in this game that constantly makes me feel alone, but there wasn’t much enjoyment past that. It felt like an odd way to introduce multiplayer into a game like Rain World; I feel as though having a cooperative story experience would’ve been more suited to Rain Worlds strengths. Arena also includes a sandbox mode. Here, players can customize the competitive experience. You can spawn in as many items and monsters as you heart desires. I got a kick out of this mode sheerly because It was fun to spawn a number of random creatures and then watching how they interact with each other. Rain World is a solid platformer with a strong use of survival elements and an impactful sense of atmosphere. The unforgiving style of the world can be a frustrating turnoff early on in game, but the experience improves as your skills improve. The sidemodes don’t offer much more as far as engaging gameplay goes, they feel like a bit of an afterthought. Rain World is a formidable experience to fans of the survival genre, and one that you can now take with you on the go via the Nintendo Switch. This review is based on a Nintendo Switch download code provided by the publisher. Rain World was made available on the Nintendo Switch eShop on December 13, 2018. This is one of the things I'm most delighted I kickstarted.